H&M has launched a new ad campaign to showcase its festive collection. 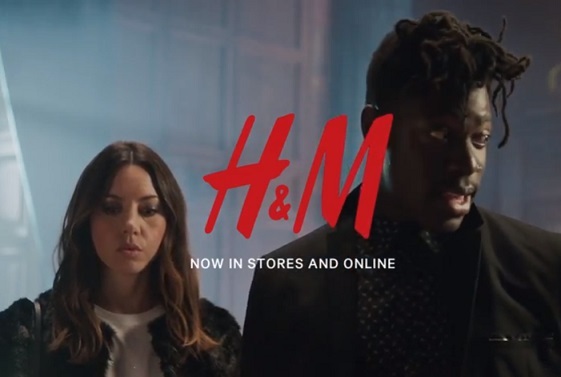 Created as a miniseries, the campaign, dubbed “Hotel Mauritz,” a nod to the Hennes & Mauritz brand name, includes different episodes featuring a star-studded cast including actress Aubrey Plaza, model and musician Adonis Bosso, models and influencers Elizabeth and Victoria Lejonhjärta, and many others. The first episode sees Audrey Plaza checking into (the fictional) Hotel Mauritz for the holidays and finding herself caught up in an unexpected duet with another hotel guest, played by Adonis Bosso. The two try to call the receptionist, who’s obviously not at the reception, by obsessively ringing the bell, and – hearing no one else, start singing the 1967 hit song “I Think We’re Alone Now” (by Tommy James and the Shondells). The end of the 30-second video sees the two strangers who become quite close after their shared performance being brought back to Earth by a forced cough from the receptionist, who’s surrounded by a group of people, including kids. The Hotel Mauritz campaign, also features Debra Rapoport, Aamito Lagum, Tzipora Salomon, Hana Jirickova, Sarah Jane Adams, Hoyeon Chung, and Chloe Fineman. The Swedish retailer’s holiday collection, which includes pieces for men, women and kids, from a satin tuxedo and decorated knitwear for women, plus lean suits, knitwear and printed shirts for men and styles that feature fantastical creatures, metallic fabrics, shimmering details and graphic prints for kids, will be available in H&M stores and online starting this month.